The music ministry at Lincoln Park Church welcomes musicians of all levels of ability, from novice to accomplished musician. Our only desire is to praise and honor God through music, and thus, enhance our worship services for everyone. When you sit in quiet and meditate, listen if God is calling you to share in this ministry. God our Father and we, the church musicians, invite you to join us as we celebrate God through music. Pray, listen and then accept the call. Please contact music director Beverly Perella at the church at 610-777-1422, Ext.26. Leads worship at the Contemporary Service, 9 AM every Sunday. Weekly rehearsals are at 8 pm on Thursdays. Instruments, voices, and tech team members are needed, and you don’t have to be a professional musician; you just need a desire and commitment to serve God and our congregation in this way. 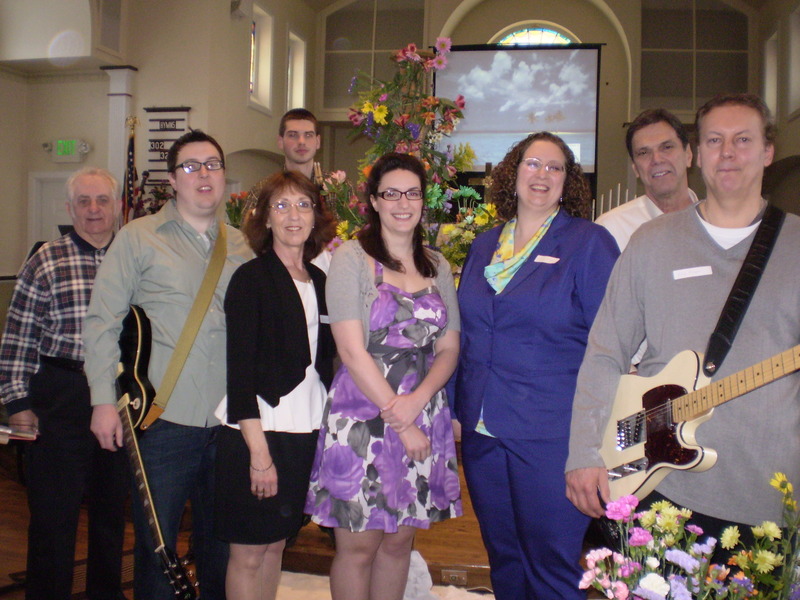 Contact Worship Leader Mark Villecco or Music Director Bev Perella. Music from the Baroque to Contemporary and every musical period in between is the repertoire of the Chancel Choir. 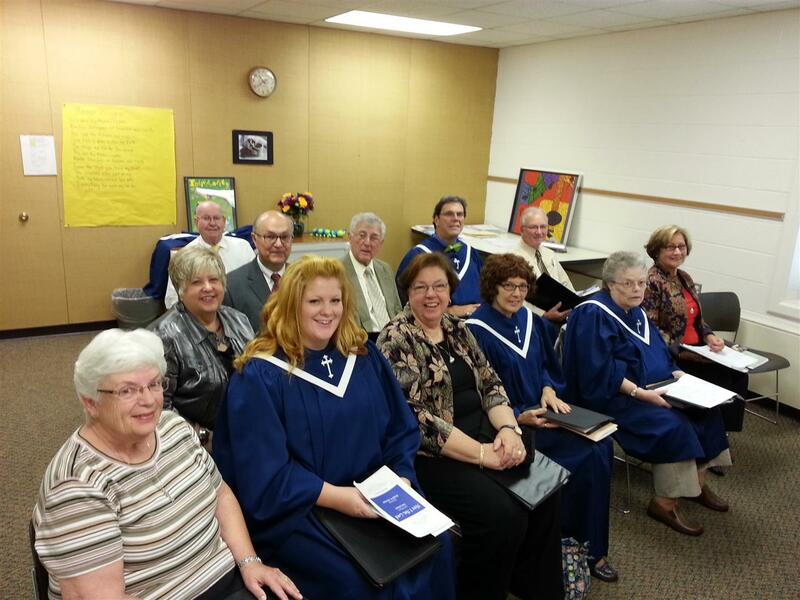 A small, but polished group of singers meets every Wednesday from September–June at 7:30 PM. The members total 13 on an ordinary Sunday, but jump to 17 or more on major concert Sundays which include the Christmas Cantata in December and Music Sunday in June. “Praise Him with trumpet sound; praise Him with harp and lyre” (Psalm 150), and our church adds “praise Him with bells and chimes.” Five octaves of Malmark bells and three octaves of chimes are rung with precision (or at least that is the goal) by 10–12 ringers ranging from the very experienced to the novice. 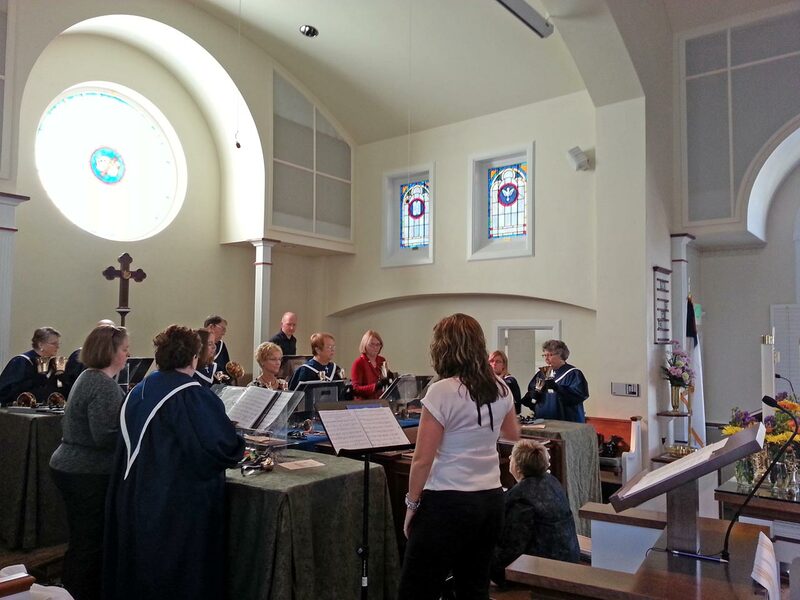 Often accompanying the Chancel Choir on Sundays, this group rehearses Wednesdays from September–June at 6:30. Not everyone has a background in music, but everyone has a desire to celebrate the goodness of God through music. Our Children’s Choir of cherubs ages 2–3rd Grade rehearses Tuesday evenings at 6 pm and performs at the 9 am and 11 am worship services several times throughout the year. Add to our music program throughout the year, especially during our summer mini-concerts and on special occasions. Please contact Bev if you can offer your talent! NO talent is too small.